Yesterday, the House Business Affairs and Labor Committee passed House Bill 1240 by Rep. Tracy Kraft Tharp, Rep. Kevin Van Winkle, Sen. Lois Court, and Sen. Jack Tate. This bill stems from the Wayfair decision from the U.S. Supreme Court last year, which determined that states may charge sales tax on purchases made from out-of-state sellers. Since Colorado has approximately 750 taxing districts, this decision complicated the way businesses without a physical presence in the state managed sales taxes. HB 1240 simplifies how sales taxes are collected, and also provides relief for smaller retailers. Under the bill, the state of Colorado will set up a streamlined system for businesses to navigate what amount of taxes they owe to specific jurisdictions. Until this system is set up, businesses with less than $100,000 in revenue will simply be required to pay taxes where the business is physically located. 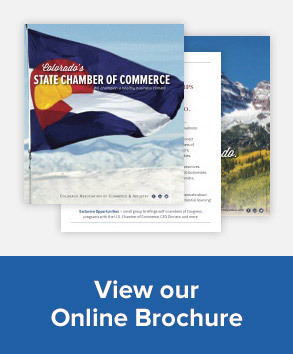 Members of the Colorado Chamber’s Tax Council have been working with legislators over the past several years to simplify the sales tax system and HB 1240 is a strong step toward achieving that goal.